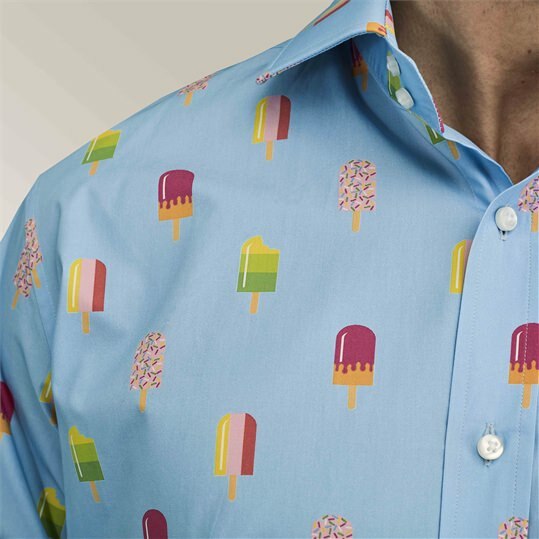 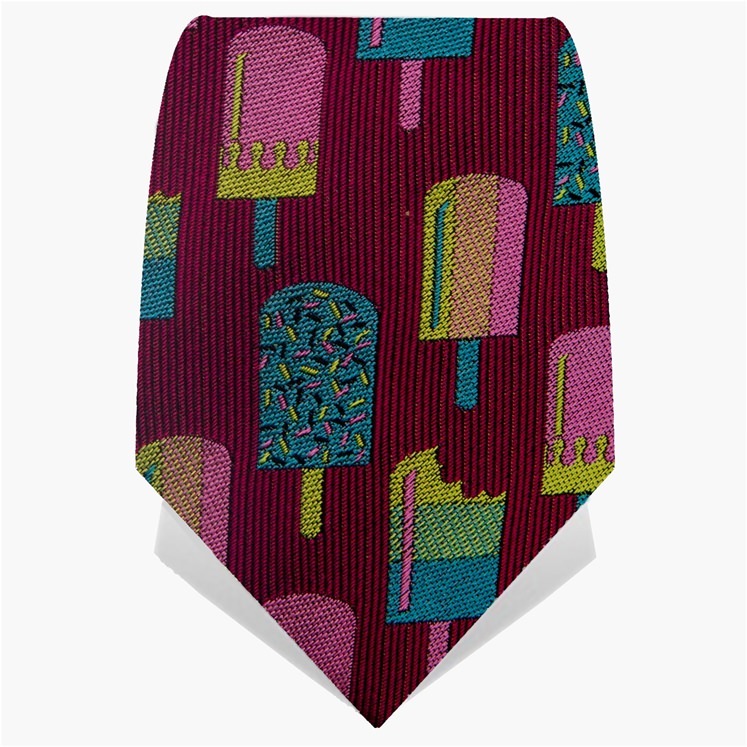 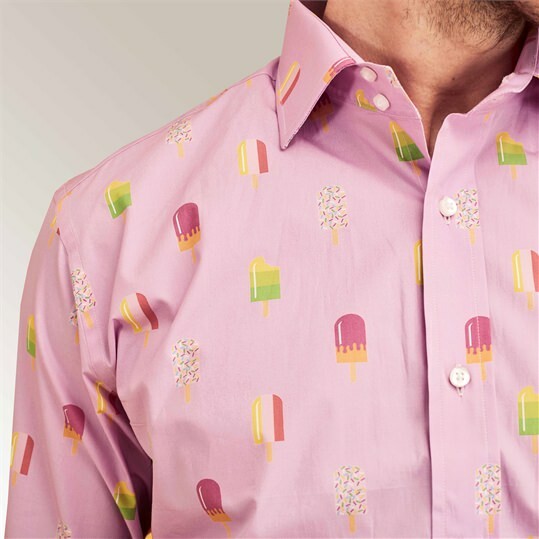 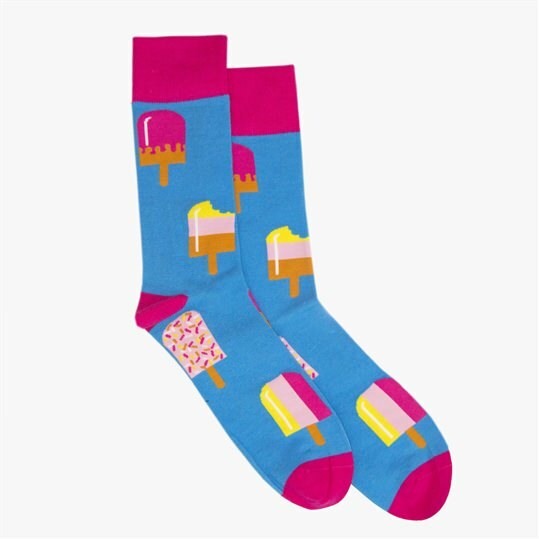 100% silk tie in a deep burgundy adorned with vibrant retro ice lollies. 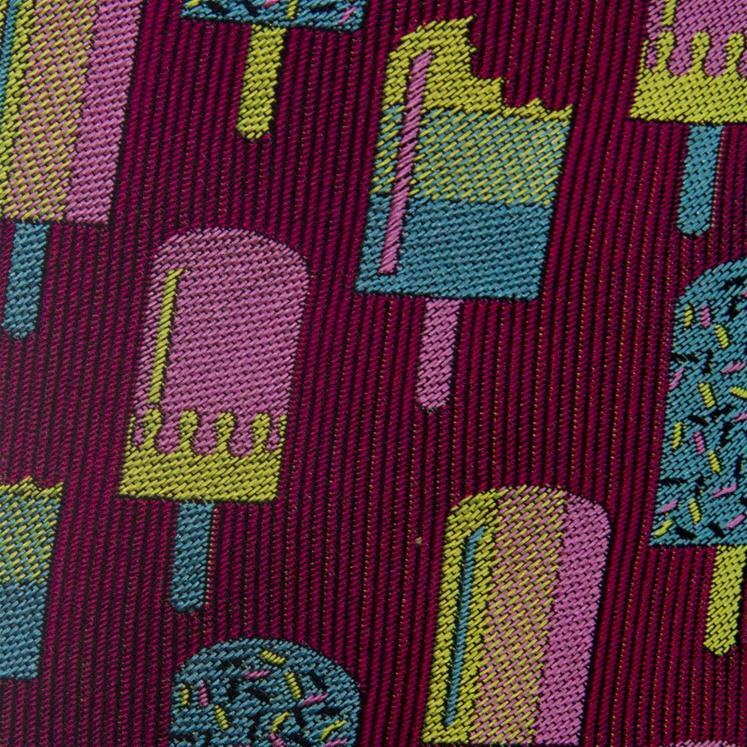 The woven design covers the whole tie. 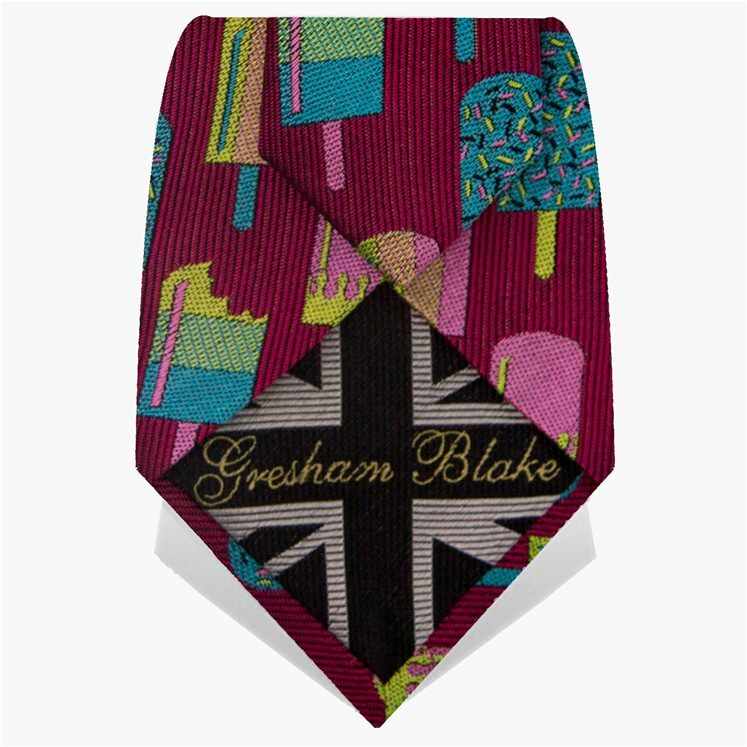 Limited edition & hand made in the UK.